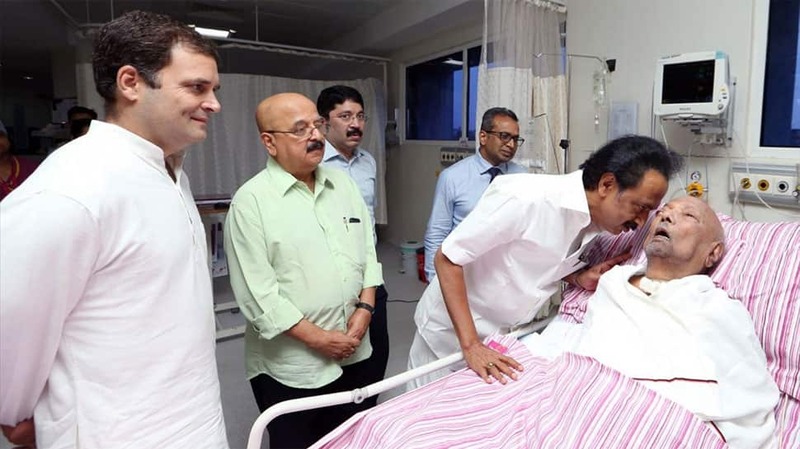 DMK leader and veteran politician M Karunanidhi will have to stay in the hospital for an extended period 'due to age-related overall decline in his health', Kauvery Hospital said on Tuesday. 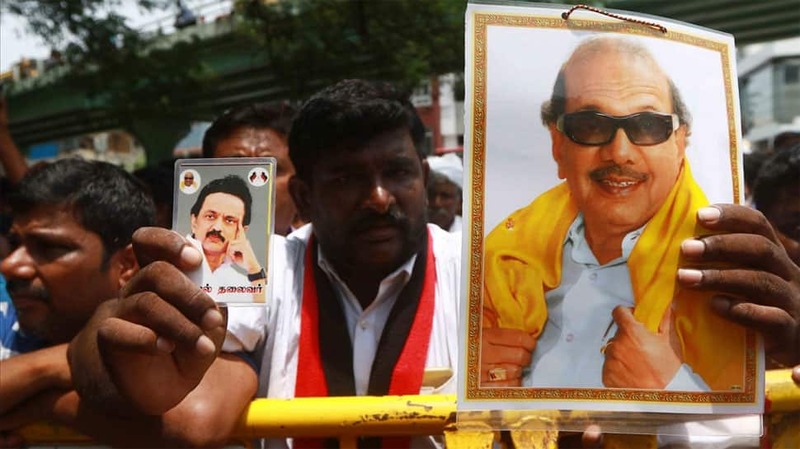 DMK leader and veteran politician M Karunanidhi, who was admitted following a drop in his blood pressure last week, will have to stay in the hospital for an extended period 'due to age-related overall decline in his health', Kauvery Hospital said on Tuesday. He is under close watch of an expert team of doctors. "An extended period of hospitalization will be necessary due to age-related overall decline in Karunanidhi's general health, altered liver functions and hematological parameters," the hospital statement said. "He continues to maintain his vital signs with active medical support." Several politicians have visited the veteran leader to inquire about his health. 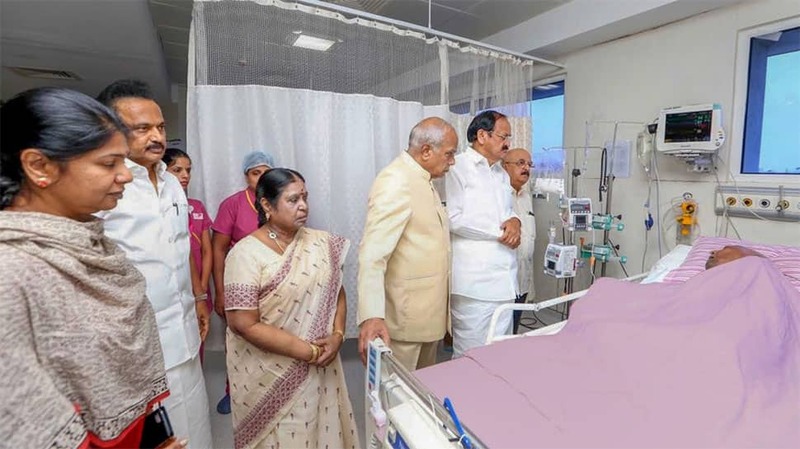 Vice President Venkaiah Naidu met the ailing DMK leader in the Intensive Care Unit of the Kauvery Hospital in Alwarpet in Chennai. 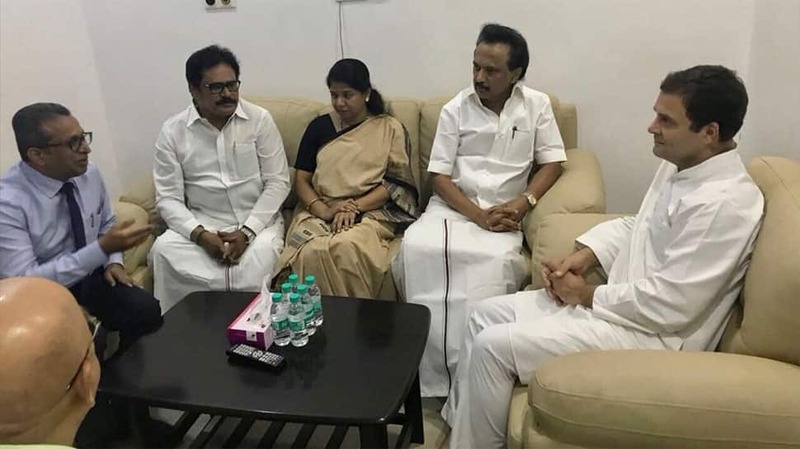 Along with Naidu, Tamil Nadu Governor Banwarilal Purohit can also be seen along with Karunanidhi's son and DMK Working President MK Stalin, daughter and Rajya Sabha MP Kanimozhi. 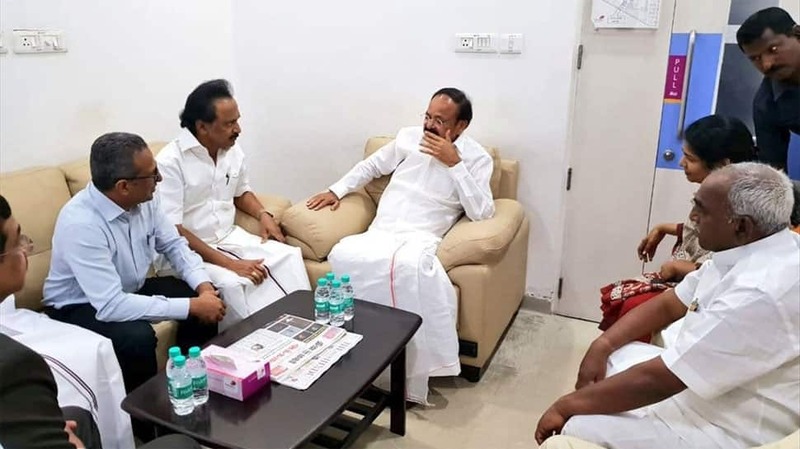 After his meeting, Naidu tweeted: "Visited Kaveri Hospital and met former Chief Minister Thiru Kalaignar Karunanidhi. Met his family members and doctors and enquired about his health. Doctors said he is stable. Wish him a speedy recovery." 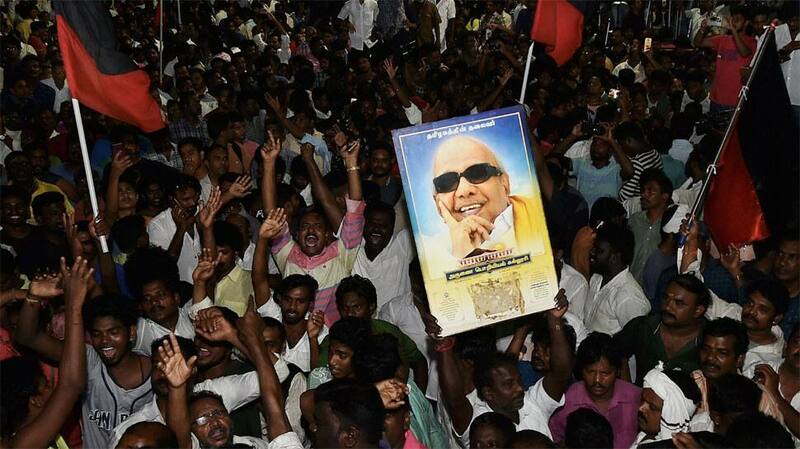 Karunanidhi had recently undergone a procedure to replace his tracheostomy tube. He had the tube placed in December 2016 to help improve his breathing.